Is a Sleep Revolution Really What We Need? 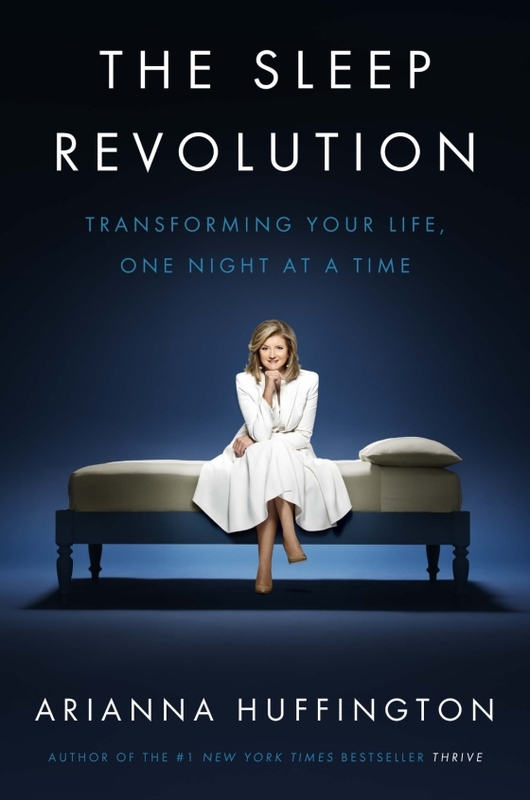 As a licensed clinical therapist who regularly prescribes meditation, relaxation techniques, and yoga to her clients – I was pretty interested to read what Arianna Huffington had to say in The Sleep Revolution: Transforming your Life One Night at a Time. It’s pretty much a given that someone visiting my office for feelings of anxiety or depression has not been sleeping well. But still, do we need a sleep revolution? So if Huffington’s book comes bearing old news that anyone could pull together from a few days of solid Googling, is it still worth the read? Yes. There are 5 things I think this book does really well, and one of them is how well curated the material is. Huffington does a solid job of pulling together reliable and credible research. She understands the difference between correlation and causation, meaning, she knows when lack of sleep actually causes a problem and when lack of sleep is linked to a problem. Again, this information has not been a state secret until now. Huffington really took her time to curate the right facts, and put them together in an easy-to-read, conversational way. Huffington brings real urgency to our culturally transmitted disease of sleep deprivation. Not getting enough sleep can actually kill you. The incidence of death from all causes goes up by 15 percent when we get fewer than 5 hours of sleep a night. That little fact certainly got my attention. You can work out and eat all the kale you want – or drink it in smoothies – but if you’re not sleeping, you can still feel pretty crummy. That myth about sleep being overrated? Consider it debunked. The first part of The Sleep Revolution gives you the history of sleep. Will it put you to sleep? No. If anything, you’ll understand that it’s not your own personal failing that you don’t sleep well. You’ll walk away from the book understanding sleep deprivation as a cultural artifact of the Industrial Revolution. It’s easier to start a revolution if you know what you’re up against! In this case, it’s a couple of centuries of seeing sleep as an obstacle to putting in more billable hours. Huffington herself hadn’t thought about how little she was sleeping until she found out her health and – almost more alarming for a business magnate – her decision-making were suffering. That’s why she’s leading the sleep revolution. She’s a reformed workaholic who deeply understands what it means to hit bottom and how badly you have to “shock” a person out of a lifetime of bad habits. It is in part three that she gives suggestions as to how to get into a better habit of sleep. A major one being to get the technology out of the bedroom: meaning to turn away from of computers and smart phones before bedtime. You can buy Huffington’s book by clicking on the image. She goes on to write about room temperature, physical exercise eating right for sleep and sleep fashion just to name a few of the many topics in this section. While I enjoyed this book, it’s not in my top 5 change-your-life-book spots. Here are a couple of things to keep in mind. This book is more for people that are feeling poorly in their lives as they work hard at meeting goals and striving for success. And then despite the success they feel hollow and unhappy. This book is definitely not for those who suffer from deep sleep issues that could be more medically related. In fact this book promotes sleeping without medication. There are better books to address sleep disturbance for people who actually know they have a sleeping problem. (Until I write a blog post about this, drop me a line (link to contact form) if you’re looking for recommendations). The section about dreams is interesting but I noticed myself feeling annoyed while I was reading it. After learning so much about the history of sleep and then how not sleeping could kill me, I was ready to get to the solutions, so to speak. I recommend skipping this part and coming back to read it last. Entertaining little tidbits are included about how dreams led to inventions and such. It’s evident that Huffington is writing for a broad audience, from parents of babies to workaholics, so I guarantee in this shotgun approach there will be material that is irrelevant to you. You can skip that material. This is not however permission to skip parts that seem inconvenient to you! 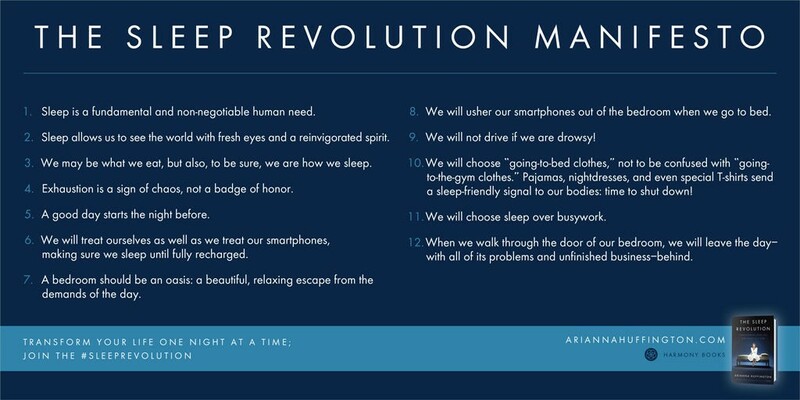 Are we talkin’ about a (sleep) revolution after all? There does need to be a revolution of sorts to get the word out. Otherwise it’s each of us as individuals up against a work ethic that when paired with technology strips away not only personal time but also sleep time. Sleep deprived people will have a hard time changing the systems they are in that promote those that shine not those that sleep. Maybe you don’t need therapy because you have felt depressed for several months and can’t feel joy in your life. It could be you need sleep. At least start there and see if your brain as well as your body can feel better. When you feel better you will also have more energy to make other positive changes in your life like get outside more and exercise, meet with good friends or volunteer. When you are well rested it is amazing what you can feel motivated to accomplish. 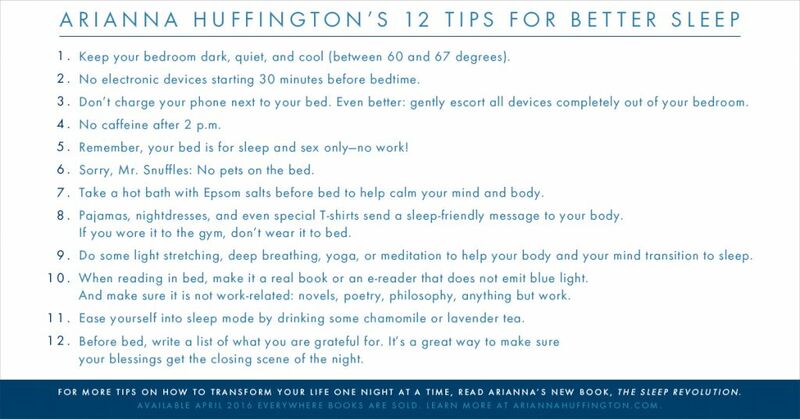 Buy Arianna Huffington’s The Sleep Revolution on Amazon. Share the post "Is a Sleep Revolution Really What We Need?"